The luxury contemporary straight grab rail with concealed fixings. 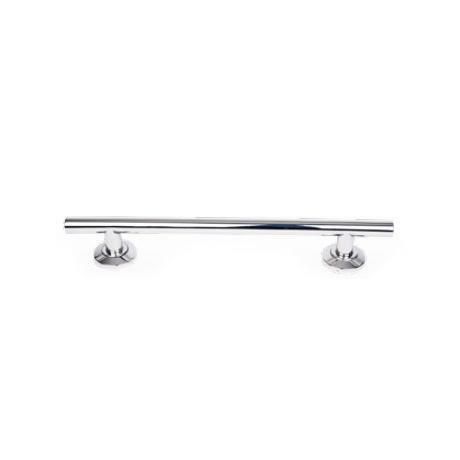 Add some luxurious support in the bathroom or around the house with these sleek straight grab rails. Our Luxury Straight Grab Rails feature an easy to grip handle, to provide reliable security. The fixing screws are hidden by the rails mounting disc for a neat finish. Available in 3 lengths. Contemporary grab rail with concealed fixings. Q. Is this rail suitable for use inside a shower cubicle? Is electrical earthing required? Hi, the Euroshowers Luxury Grab Rail would be suitable for inside a shower. Thanks.